Order now for your best deal. Prices may rise higher when sales goals are met. The Deal: some bikes are available Now. 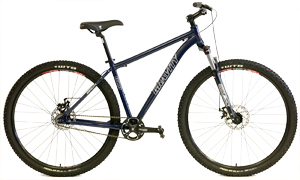 Bikes will sell out fast, order now for best selection. Your Shipping Address: Please ensure your address is correct when you order. Last minute changes incur delays and/or extra costs. Your shipping address can be changed on the 3rd page of checkout. Click on "change" beside the address. If you have ridden one you know why you want one. 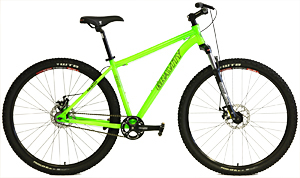 If you have ever wanted to try one, this is the best deal on a Single Speed drivetrain equipped 29er bike with powerful Disc Brakes and SunTour 29er Lockout fork. 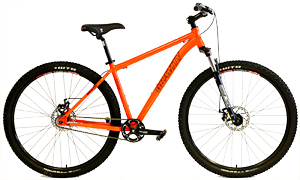 Specified with competition-ready components and has geometry based on careful research and trail-testing. Please compare this bike directly against any other manufacturers $900+ 29er singlespeed on the market. Their bikes are likely heavier or not as well equipped. Front Suspension + Lockout - increased comfort and control. Helps to tame wild trails + efficient lockout. 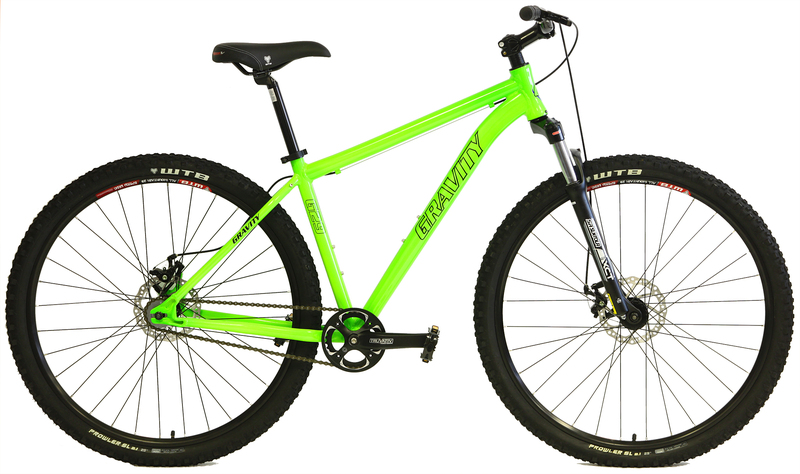 Gravity has really dialed in a race-proven geometry into this phenomenal ride. The handling is very responsive and yet stable. Singletrack and switchbacks are all handled with ease. Slow speed and high speed, technical and flat-out hammering, you will go faster because this bike is so capable. If you love the ride of the Gary Fisher Marlin, Cobia or Mamba; you will love the ride of this Gravity 29er bike. These are available but always sell out before we can get more. Get yours before they are all gone! 15.5" - 5'6" to 5'8"
19" - 6' to 6'2"
21" - 6'2" to 6'5"
(*approx. sizing - your final choice is up to your personal preferences. If you are between sizes - Size up for larger bike, size down for more aggressive fit) Customers report they fine tune fit to their preferences with their own longer/shorter stems.